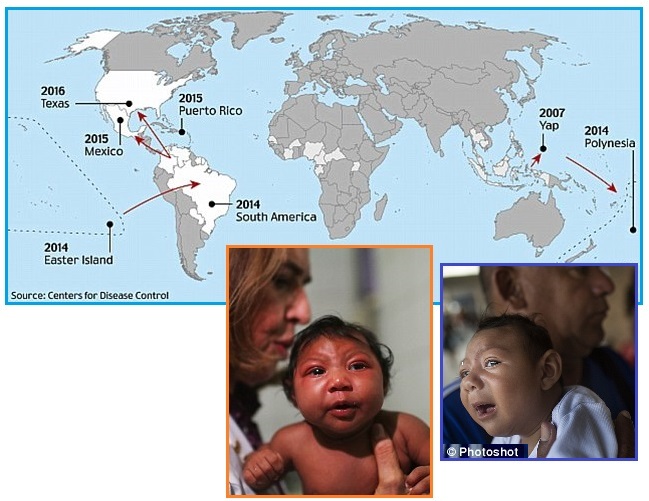 The Zika virus, hardly a new virus, is striking fear in tropical areas because it feeds on nerve and brain tissue, causing microcephaly and an auto-immune reaction to nerve virus activity - Guillain-Barre syndrome (GBS). I, Nancy, am acutely aware of what GBS is, having been quadriplegic for months with this when 21 years old, and still afflicted with muscular weakness due to the permanent damage to nerves in my spinal cord. Zika is related to other virus that is attracted to nerve cells, such as the encephalitis virus. But what is particularly upsetting is its affect on the developing fetus – microcephaly, a small head with reduced brain size. In humans, it initially causes a mild illness known as Zika fever, Zika, or Zika disease, which since the 1950s has been known to occur within a narrow equatorial belt from Africa to Asia. In 2014, the virus spread eastward across the Pacific Ocean to French Polynesia, then to Easter Island and in 2015 to Central America, the Caribbean, and South America, where the Zika outbreak has reached pandemic levels. Zika virus is related to dengue, yellow fever, Japanese encephalitis, and West Nile viruses. There is a possible link between Zika fever and microcephaly in newborn babies of infected mothers. There is an unprecedented outbreak in Brazil, where in the past 12 months there have been nearly 4,000 cases of babies being born with abnormally small heads. Pregnant women have already been officially warned to avoid travelling to South America. It's an emerging virus. Clinically it is very similar to dengue and it has the potential to spread wherever there is dengue. Health professionals should also be vigilant for: any increase of neurological and autoimmune syndromes, congenital malformations in new born infants in patients with a history of travel to areas where Zika virus transmission is known to occur. Countries and territories reporting local transmission of Zika virus now number 33, with 6 more showing indication of such transmission and 7 experiencing a parallel rise in cases of microcephaly (small heads in infants) or the neurologic condition called Guillain-Barre syndrome (GBS), the World Health Organization (WHO) said. There have been conspiracy theories about Zika being a manufactured virus, to reduce the population, but per the Zetas none of this is true. However, those elements among the elite hoping to reduce the number of what they call “useless eaters” might try to be opportunists in some manner. But Zika itself is not new, and not spreading at the hand of man. ZetaTalk Comment 1/30/2016: When we first wrote about anticipating increasing illness – in man, animals, and all fauna and flora – we stressed that the spread of germs new to mankind should not be interpreted as a deliberate act, genocide of some kind. Extinctions occur during Pole Shifts, in the animal kingdom and in all life forms, due to the extensive die-off that a sudden and radical climate change brings about. Then there is the issue of a depressed immune system, which is not the issue with the spread of Zika, but will certainly be a factor as mankind becomes depressed about their changing lot in life. Zika has marched across the globe due to mankind’s desire to travel to tropical locations while on vacation. The spread of Zika is quite logical, given that man is traveling about via airplane regularly. They assume this as their right. We have explained that Ebola used to infect a village in Africa, an infection from the local creatures that crawled out from the swamps or were bushmeat eaten as food, and the entire village would die. That promptly stopped the epidemic. Nowadays the villagers go into town, infect a waste swath of the populace, and sell the infected meat to the town’s butcher. Man’s lifestyle will spread more than the horrific Zika virus, as the Earth changes progress, with horrors greater than the deformed brains of the unborn. These babies will die, rather quickly, but some infections linger and are painful. The Zetas warned that during the Earth changes, the climate changes, opportunistic germs would migrate. ZetaTalk Prediction 2/15/1998: Increasingly, as the pole shift nears, the populace will take sick. This will take the form of known illnesses occurring more frequently, seemingly depressed immune systems, but will also appear as new and puzzling illnesses not seen before in the memory of man. What is going on here? The germs are on the move. Their carriers are on the move. And thus humans are exposed to diseases that are so rare as to be undocumented in medical journals. You will see increasing illness, odd illnesses, microbes that travel because an insect is scattering about and spreading germs in places where it normally doesn't travel. This does not mean that the illness has been spread deliberately. The battle against ISIS in Syria has many fronts and many agendas. First there is the religious differences among some of the major players – Sunni or Shia. Iran and Syria’s current leader, Assad, are Shia. Saudi Arabia and ISIS are Sunni. 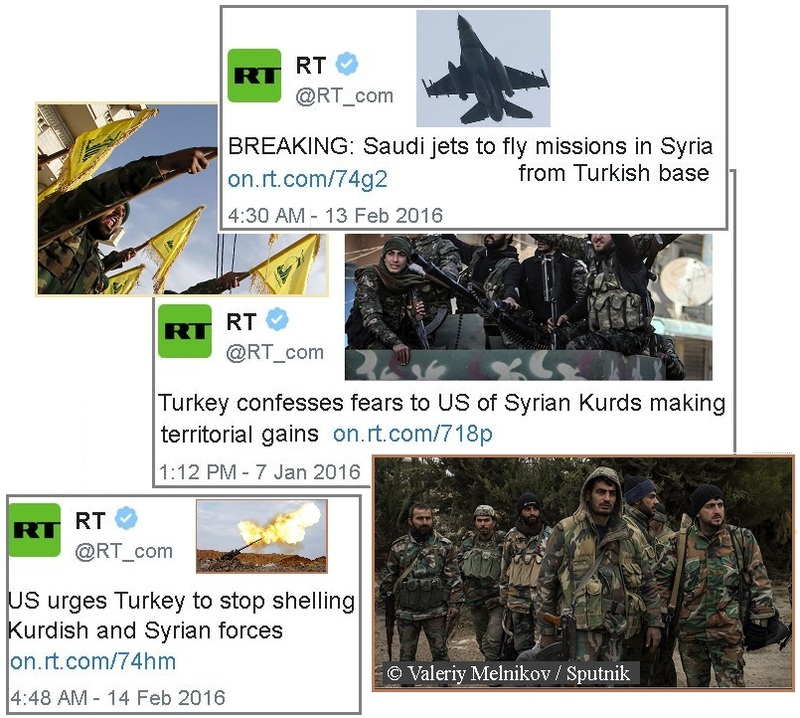 Then there is Turkey’s proven role in brokering stolen Syrian oil for ISIS, thus funding ISIS. The Kurds have been highly effective in fighting ISIS but Turkey considers them terrorists as they want their territory back from Turkish control. Israel’s view on the battle is that Assad should be removed, because he supports Palestinian independence. The US had formerly supported this position, arming Syrian rebels fighting Assad, but then the rebels joined ISIS and thus the US found that it had armed ISIS. Enter Russia into the fray, which has proven to be the solution. ISIS is no longer on the move but instead is losing territory, with many key battles along the Turkey border. 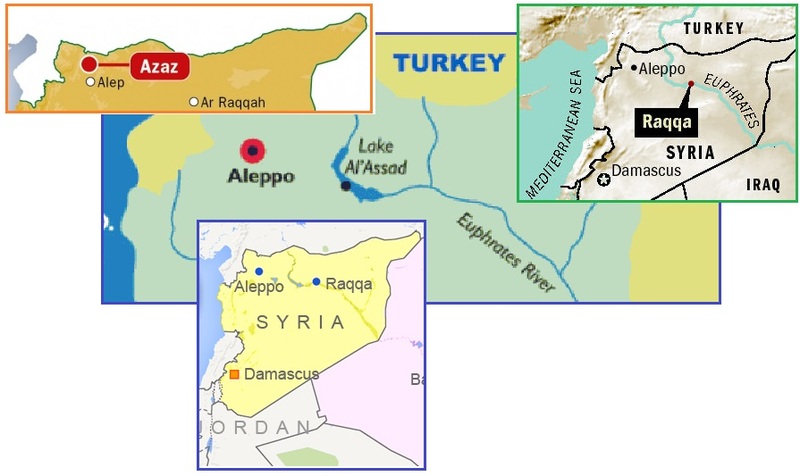 Turkish Prime Minister Ahmed Davutoglu said Ankara will not allow the town of Azaz in northern Syria to fall to the Kurdish YPG. He warned the YPG not to move east of its Afrin region or west of the Euphrates River. The Russian Foreign Ministry said in a statement that Turkish strikes on Syrian territory breach the UN Security Council’s resolution, and called on Ankara to cease immediately the ongoing "military provocations." Washington and Paris have called on Turkey to cease its massive artillery bombardment against Kurdish targets and de-escalate tensions on all sides. Syrian government forces and Palestinian armed militia captured the strategically important Tal Masbah hilltop, the last entrenched Islamic State (IS, previously ISIS/ISIL) position. According to the reports the pro-Assad forces captured 4 check points of the terrorists. The Russian warplanes carried out at least 6 air raids on the terrorists’ positions to support the pro-government forces’ actions. Six senior military officers from the Iranian Revolutionary Guard are also there. Russia has as its partners Iran, France, the US, the Kurds, Syria, and Hezbollah in Lebanon. This horrifies Turkey, which is a NATO member and thus supposedly a partner with the US, and the Saudi’s, also supposedly an ally of the US, and Israel, which considers Hezbollah a terrorist organization. The fact that the San Bernardino attack in the US had a Saudi connection was obvious. It was funded by the Saudis. With friends like this, who needs enemies? Saudi Arabia has mustered their military and partnered with Turkey to counter Russia’s influence in the region, moving their jets to a Turkey base. Thus we have Ben Fulford predicting that Turkey and Saudi Arabia will be carved up, as covered in Issue 480 of this newsletter recently. They are taking on Russia in all of this, kicking the big bear, to defend their interests and ambitions, and banking that the US will rush in and rescue them. Obama won’t do this, and thus ultimately, Turkey and the Saudis will be carved up, and the Palestinians will get their statehood, just as Ben Fulford predicted. Saudi Arabia is to deploy military jets and personnel to Turkey’s Incirlik Air Base in the south of the country. The base is already used by the US Air Force for their sorties in Syria. Saudi Arabia, Bahrain and the UAE voiced their readiness to contribute troops for a ground operation in Syria on the condition that the US would lead the intervention. The US, Turkey and Saudi Arabia have shared goals in Syria, as all three want the government of Syrian President Bashar Assad to be toppled by rebel forces. On other issues they differ. For example, the US supports Kurdish forces in Syria who scored significant military victories against IS, but Turkey considers them terrorists and is targeting them with airstrikes. Amid Saudi Arabia's declarations that it is ready to send ground troops to Syria to fight ISIS, a military spokesman for Hezbollah in Iraq claimed that "the servants of the Saudi entity will never be able to deal with Hezbollah's fighters." What role does the proposed ceasefire in Syria have in all of this? This is a Russian proposal, showing the steady hand and good judgement of Russia. They are not seeking to invade Turkey or Saudi Arabia while fighting ISIS. ISIS is flooding millions of immigrants into Europe, via the land bridge provided by Turkey, threatening to destabilize Europe. ISIS has turned Iraq blood red with beheadings and the slaughtering of innocents who they considered to be of the wrong religion. The US trained Iraqis proved powerless to stop them, with only another US led war seemingly the solution, but Obama has vowed to stop the cycle of endless boots on the ground in the Middle East that the Bush administration started. Where will this proposed ceasefire lead? Per the Zetas, this mess will arrive right where Ben Fulford predicted. As we speak, the most decisive battle in the Syrian Civil War is being waged, and it’s a make or break moment for the Assad regime, and for Putin. Forces allied with the Syrian Army such as Hezbollah and the Iranian Revolutionary Guard, have surrounded Aleppo, a hotly contested rebel stronghold and previously the largest city in the country. Thousands of civilians are fleeing the city en masse as these forces close in, while the Russian Air Force pummels the area day and night. If the Syrian government takes the city back, it will be a devastating blow for any rebel forces in the country, ISIS or otherwise. It will be marked in history as a major turning point for Assad and the Kremlin, and a massive rebuke to the demands of the United States and her allies. As for those allies, they may not be willing to take this defeat sitting down. Under the guise of fighting ISIS, Saudi Arabia has announced that they intend to put boots on the ground in Syria, if the US agrees to it. But Saudi Arabia may not be the only anti-Assad country to join the fray, at least if the Russians can be believed. They claim that Turkey, which has long been accused of supporting ISIS, may be preparing to invade the country. An ambitious plan to end hostilities in Syria with verifiable results within a week, revive the Geneva-3 peace talks, and immediately begin delivering humanitarian aid to civilians has been unveiled in Munich, Germany after talks including the US, Russia, and the UN. Russia is counting on the US and other ISSG countries to put pressure on the Syrian opposition to cooperate with the UN. The main objective that everyone agrees on is to destroy Islamic State. Operations against all groups designated by the UN as terrorists will continue, including the fight against Islamic State and Al-Nusra Front. ZetaTalk Opinion 2/13/2016: The ceasefire proposed jointly by Russia, the US and the UN will succeed, in parallel with the mopping up operation which will result in the defeat of ISIS and the Middle East reconfigured as Ben Fulford has predicted. Turkey and the Saudis may indeed try to engage, sending troops into Syria, but this will not be to defeat ISIS but to protect their interests and maintain ISIS. Thus putting themselves at risk to being engaged by Russia, they will find themselves carved up and defeated as Fulford has predicted. The Syrian migrant flood will turn around and return to their homeland, a key goal of the ceasefire, and Israel will finally be forced to return land to the Palestinians. Gravity Waves burst onto the stage with the announcement that they had been “discovered” when two black holes collided. The astronomers involved had visual and even claimed auditory proof of the waves. Scientists say they heard the faint chirp of two black holes colliding a billion light-years away, fulfilling Einstein's general theory of relativity. Scientists are claiming a stunning discovery in their quest to fully understand gravity. They have observed the warping of space-time generated by the collision of two black holes more than a billion light-years from Earth. The international team says the first detection of these gravitational waves will usher in a new era for astronomy. It is the culmination of decades of searching and could ultimately offer a window on the Big Bang. The research, by the LIGO Collaboration, has been published today in the journal Physical Review Letters. 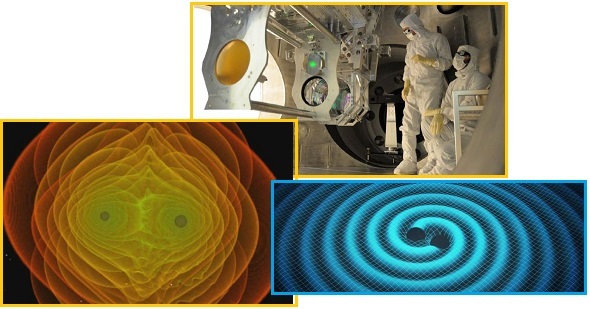 The collaboration operates a number of labs around the world that fire lasers through long tunnels, trying to sense ripples in the fabric of space-time. The black hole merger was picked up by two widely separated LIGO facilities in the US. The merger radiated three times the mass of the sun in pure gravitational energy. Gravitational waves are prediction of the Theory of General Relativity. Where the astronomers cite that this fits perfectly with Einstein’s theories, this also fits perfectly with the Zeta’s description of gravity particles and how a day in the life of a graviton plays out. In other words, Zetas Right Again! Indeed, from the start of the ZetaTalk saga some 20 years ago, they went on record. ZetaTalk Repulsion Force 9/15/1995: The repulsion force is generated as a result of two bodies exerting a gravitational force on each other. Humans have calculated the force of gravity, which at first they assumed was equal for all objects but lately have come to understand is stronger for larger objects. They have formulas for the force of gravity which have proved accurate on the face of their home planet. These formulas are incomplete, and would not work as expected elsewhere, however. The repulsion force is infinitesimally smaller than the force of gravity, but has a sharper curve so that it equals the force of gravity at the point of contact. ZetaTalk Gravity Flow 5/15/1998: Gravity particles, in their motion, do not affect what they move against or through, the effect being in essence mechanical. The upward drafts push aside other matter, letting it return upon completion of the updraft, leaving no trace of the temporary tear. The downward push of gravity particles returning to the large mass they are attracted to, the core of the Earth for instance, spread out upon objects they encounter, taking some time to drift through these object and with a constant downward press during the motion of this drift. ZetaTalk Wave Form 2/15/1997: What all matter seeks is a static state where all parts of it are equal and none moving, like a jell, but as equality in matter can never exist due to inherent differences in particle size and nature, motion never ceases. Always trying, but never succeeding. Subatomic particles move in a wave pattern due to this attraction and desire to equalize crowding. Two particles move apart from each other to reduce crowding but then find they are attracted to each other when crowding has been reduced and move toward each other again. How does the new discovery of gravity waves confirm the Zeta gravity concepts? The Zetas point to a 1998 argument with human astronomers and mathematicians on sci.astro about why the massive Moon of Earth remains in the sky, when by all logic it should fall to Earth. In this argument, they used mankind’s Inverse Square formula and Newton’s Centrifugal Force theorem. During this debate with the Zetas, the humans involved could not admit that the Zetas won, even when the Zetas beat them with their own math. equals about 80, implying that the formulas are correct. the Zetas want to speak to this. understands that something is wrong! What is wrong is what is MISSING. And now, the Zetas explain how the gravity waves show the Zetas Right Again. ZetaTalk Analysis 2/13/2016: From the start of the ZetaTalk saga we have been asked to explain gravity, which man tends to describe as a “force” as his lack of understanding about this phenomena is so great. Gravity is a particle flow, and as with most particle flows the gravity particles are both attracted to each other and explode apart from each other when crowding occurs. Why God so structured his Universe in this manner is not known, but what it causes is constant motion. Electrons chase each other and run away from each other, for instance, as do magnetons. Gravitons are a mystery to mankind as where the attraction part is clear, the blowing apart, ie the Repulsion Force, has only been explained by ourselves, the Zetas. Man is still floundering and groping toward this understanding. During the sci.astro debates, Nancy presented our description of the Repulsion Force to astronomers on the sci.astro Usenet to much ridicule. She proved this to them with a simple exercise – computing why the Moon remains up in the sky using two of mankind’s favored math theorems – Newton’s Centrifugal Force and the Inverse Square Law of gravity attraction. To quote the result “These figures showed a massive Moon, per the Inverse Square law, of millions of trillions of metric tons of equivalent weight if on the surface of the Earth, moving at a rate of only 1023 m/s.” Would an object of this weight be able to stay above the surface of the Earth due to Centrifugal Force, moving barely faster than a Concord Jet? Faced with this demonstration that the Repulsion Force of gravity exists, the arrogant astronomers of sci.astro increased their ridicule of ZetaTalk. Now, with the capture on film of two black holes colliding, proof of two concepts is at hand – Gravitational waves predicted in Einstein’s Theory of General Relativity and proof of the ZetaTalk Repulsion Force. Of course the intense gravity particle clumping at the center of black holes would be increased during a collision. Of course this would result in the particles blowing out to escape this crowding. Thus, what are being called gravity waves, each escape of particles creating a void behind the wave, thus encouraging the next wave to follow.